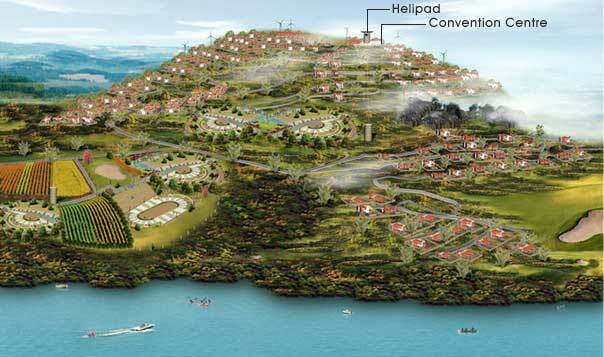 Developing a township is an exercise in minute detailing and overall planning. At Vrindhavan Mist City, the ultimate in luxurious living has been aesthetically harmonised with the purity of the landscape. Here, the intention is not mere friendship with the environment but a deep and abiding bond and oneness with the vast canvas of nature. 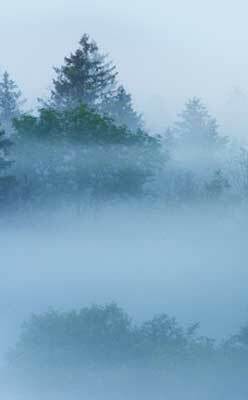 Through the veil of the early morning mist, in the heart of Kanthalloor, a hillock looms in wild splendour. Welcome to Vrindhavan Mist city - Your Abode in the Clouds. Vrindhavan Mist city, so named for its almost dreamlike landscapes in the hovering misty clouds, is a bold new venture in commercial real estate. Trans­forming the dream of an abode in the clouds into a beautiful reality. Every plot is exclusively designed with a gracious villa, each with its own private landscaped garden, car park, children's play area and barbecue. Separate plots complete with well planned roads, drainage, street lighting, water supply and access to all the common amenities have also been made available. A large portion of the remaining land has been earmarked for the construction of fully furnished mini villas, studio and I / 2 bedroom apartments. With painstaking attention to detail, each of the mini villas and apartments will be designed so as to blend into the pristine landscape and yet offer all the facilities and conveniences requisite for modern living. Here, the night mercury falls to -2°c in the months of December, January and February, making it an ideal winter resort destination. Kerala is an almost lyrical amalgamation of undulating hill ranges, meandering backwaters, endless paddy fields and lush wilderness. 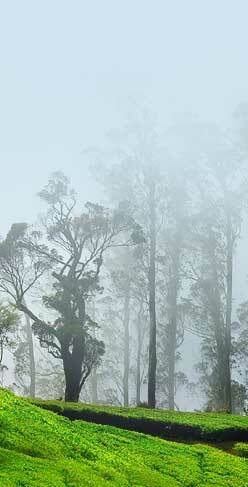 Tucked into the gracious slopes of the Nilgiri Hills or Blue Mountains is a little hill station with a large canvas. Munnar Over 5000 feet above sea level, once a popular summer resort of the British Raj, Munnar is home to endless acres of tea plantations. With its magical waterfalls, mesmerising vistas, captivating flora and fauna, Munnar is indeed the favoured offspring of bounteous Mother Nature. 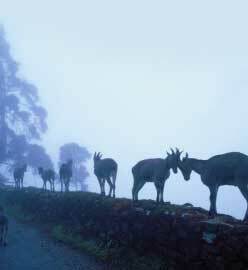 At around 4600 feet above sea level, 16 kms from the Kundala reservoir which is approximately 22 kms from Munnar town, lies a hitherto unknown little village, called Kanthalloor. Akin to Munnar in its geographical definition, forming a natural extension of Munnar, this village has been aptly re-christened, New Munnar. Kanthalloor or New Munnar boasts weather conditions and soil characteristics, ideal for commercial cultivations of fruits like apples, apricots, plums, orange, pomegranate, passion fruit and vegetables like cauliflower, carrot, cabbage, beetroot and potato. This region has also been recognized for its immense potential for the commercial cultivation of exotic flowers oriented towards the export market. A convention centre and a restaurant floating in the mist, situated right at the topmost extremity of the property to offer you a panoramic view of Marayur, Udumalpett town, parts of Palani as well as the entire property and surrounding forests. A recreation centre for various indoor games like table tennis and billiards etc. along with lawn tennis, mini golf, heated swimming pool and fully equipped health club with sauna and steam room is also provided. 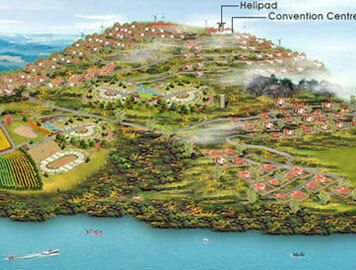 Ajogging track extending up to 2km, surrounding 18 acres of top level land. An authentic and fully equipped Ayurvedic spa, yoga and meditation centre for the benefit of tourists and residents alike. A convenience store and vending machines for daily use consumables at salient locations in various levels. A first-of-its-kind lighthouse at the top of the recreation block. Watch the sweeping arc of the light encompass Nature's hidden mystique in the deep of the night. Quaint Windmills at intermittent locations on the property will not only provide a visual spectacle but will also meet the electrical requirements of the entire township. I.P based telephony services with adequate security personnel and I.P based surveillance system to take care of the safety of the entire township. Needless to say, the entire township will be networked with well laid out motorable roads, carefully designed drainage systems and all weather solar street illumination systems. A mini amusement park with a variety of exciting rides will be part of the township's attractions. The park will be so designed to facilitate shooting of commercial/feature films, while ensuring privacy of the residents. Yet another feature that sets Vrindhavan Mist City apart from all other commercial construction projects is the construction of a modern helipad on the premises of the township. Subject to procedures and approvals from Govt. authorities, tourists can now avail of direct transport facility from Cochin International Airport and Coimbatore International Airport to New Munnar. This will indeed revolutionize the tourism potential of this region. Permission can be obtained from the Forest and Tourism departments for trekking, treetop cottage stay and aerial jungle safaris in helicopters over the world renowned Chinnar reserve forests, which is a part of Indira Gandhi National Sanctuary. Needless to say, these unique safaris would be strictly under the guidance and supervision of concerned statutory body officials. In a nutshell, Vrindhavan Mist City is slated to become the ideal destination for all, even filmmakers, with dreams of a canvas comparable only to Paradise.